Forgot A/C no? Forgot pin code? 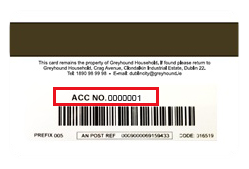 You can find your Customer ID number on the back of your Customer Card.